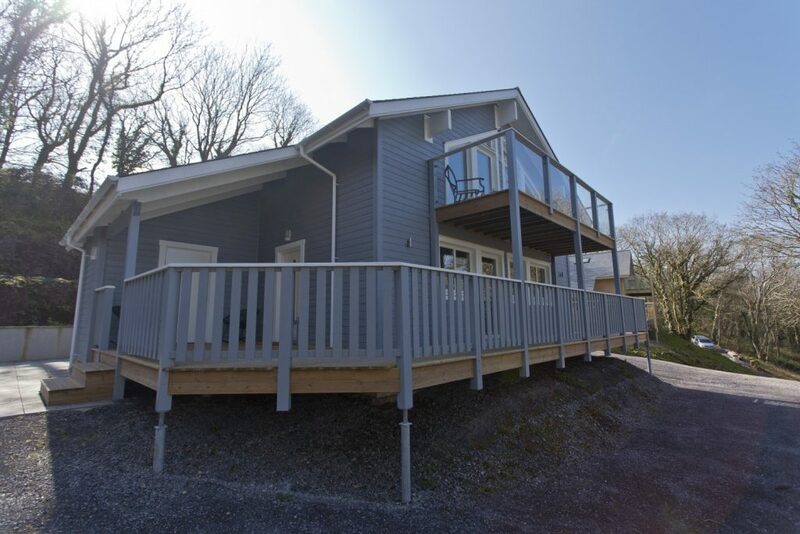 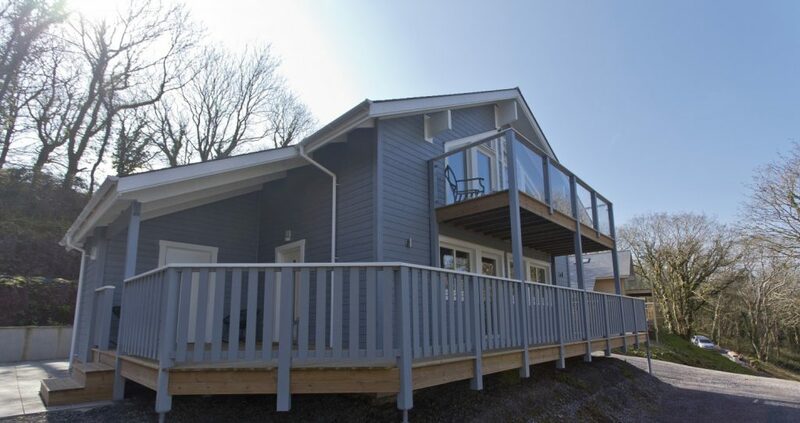 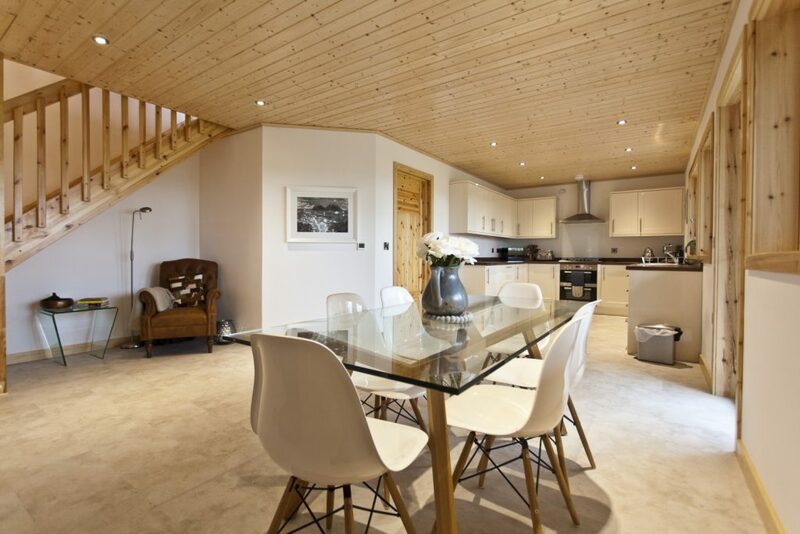 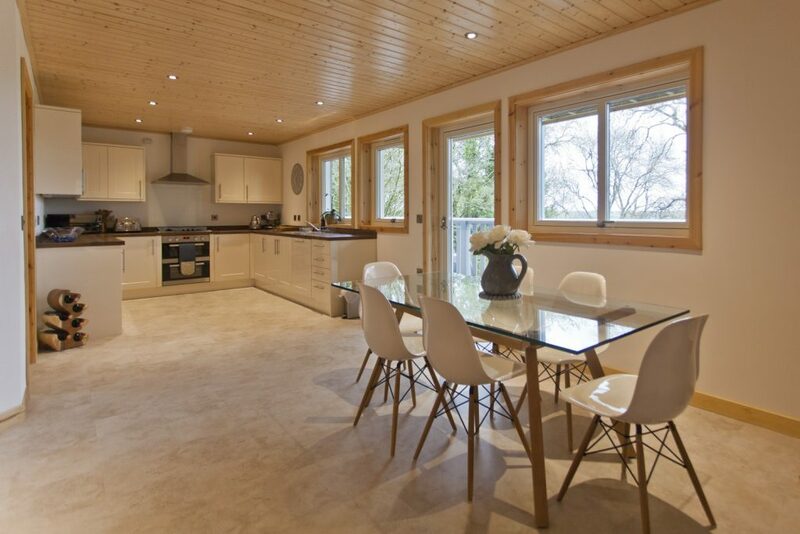 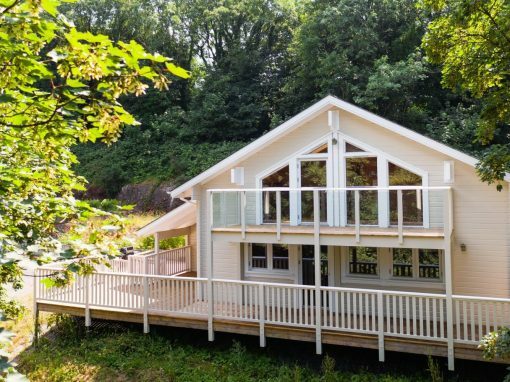 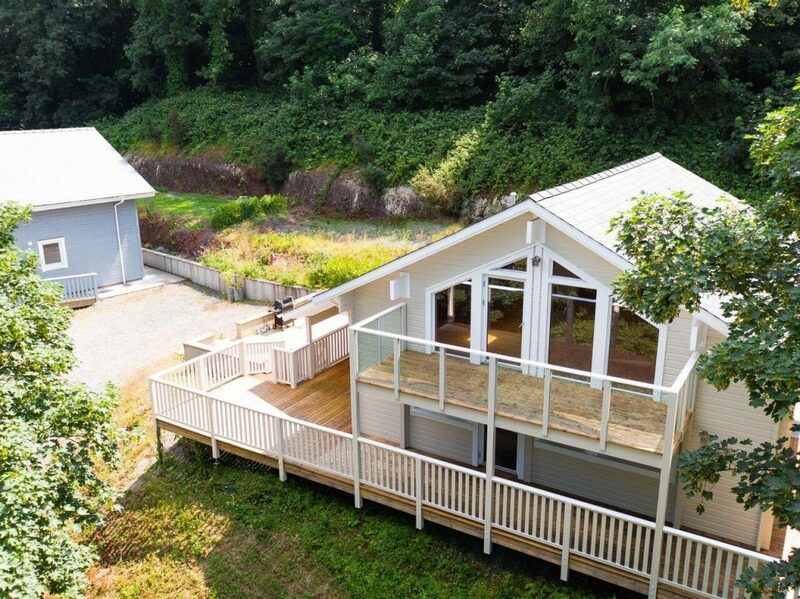 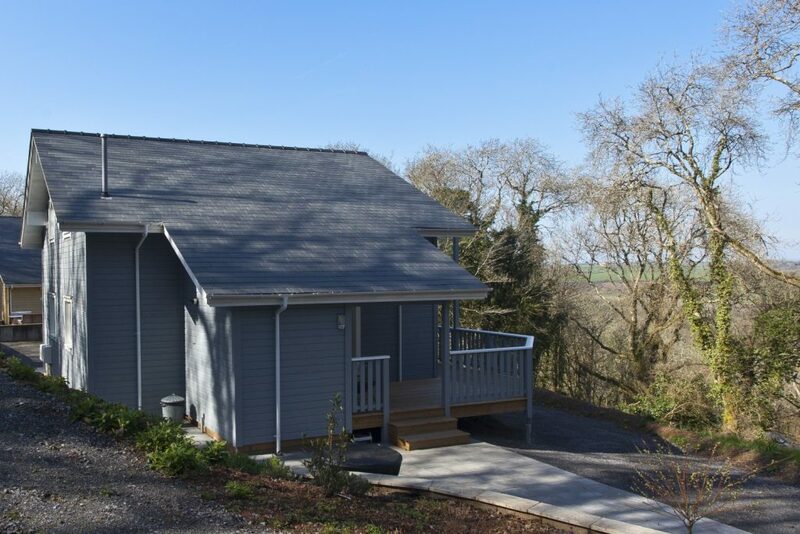 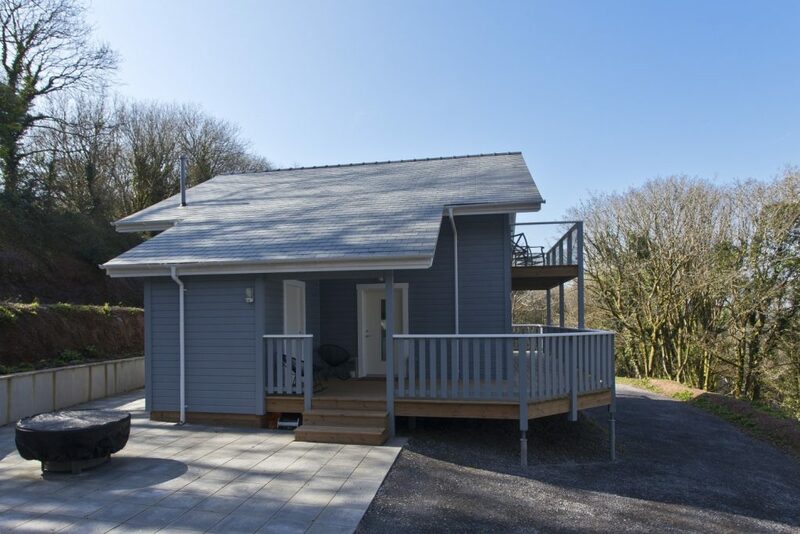 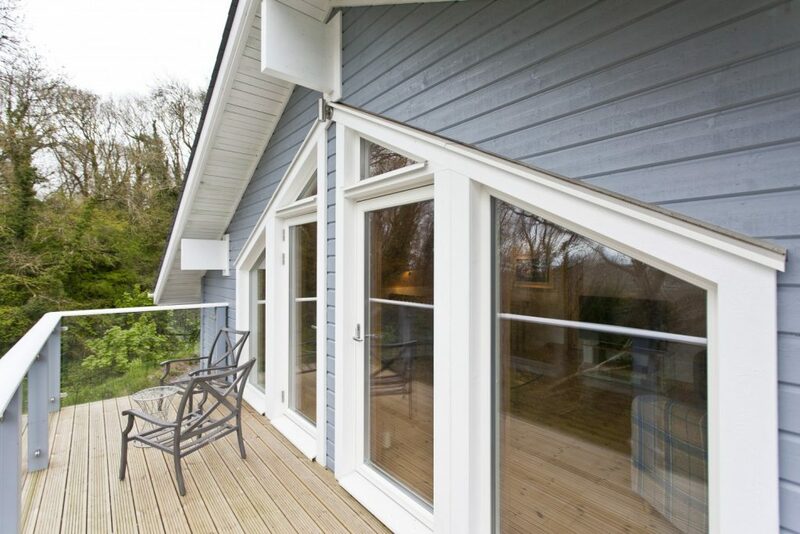 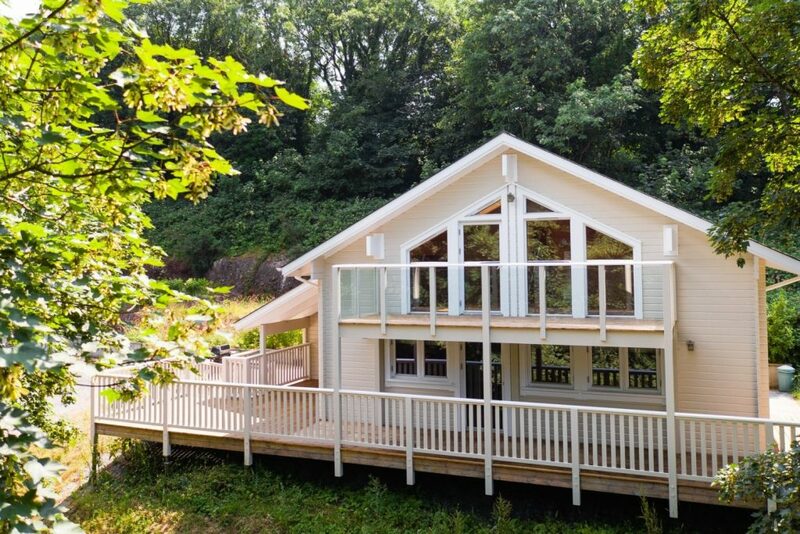 A Scandinavian styled energy efficient development nestled in the hillside, these highly sought after Svenskhomes in Tenby offer stunning views over the Welsh countryside. 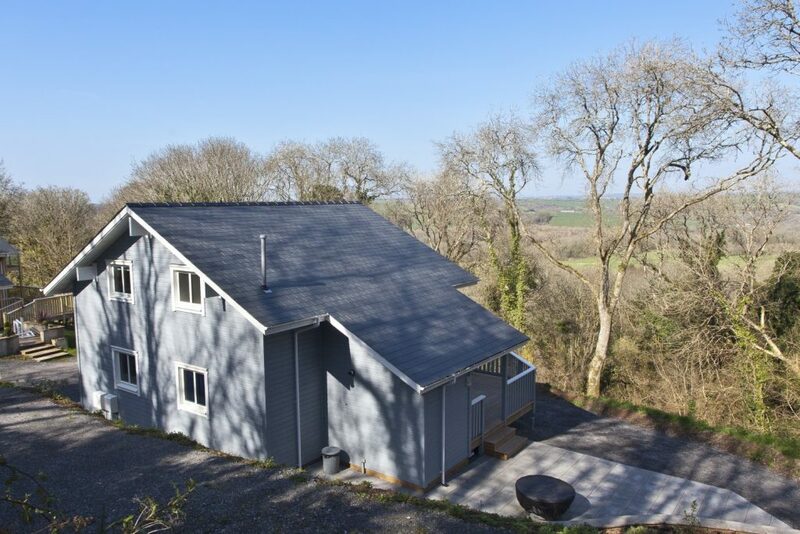 Svenskhomes are proud to have supplied 10 homes to date (with more plots available) all built into the Tenby hillside taking full opportunity of the breath-taking vista over Trefloyne Manor and the Trefloyne golf course, whilst offering the seclusion of the established trees. 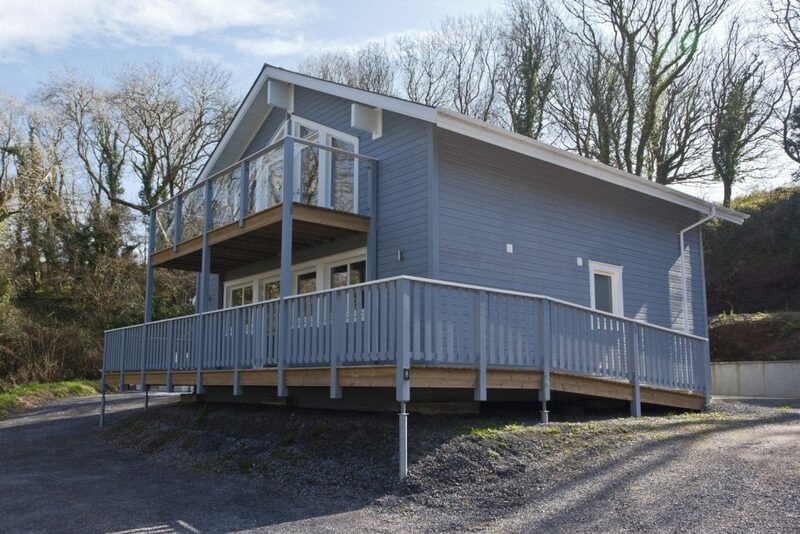 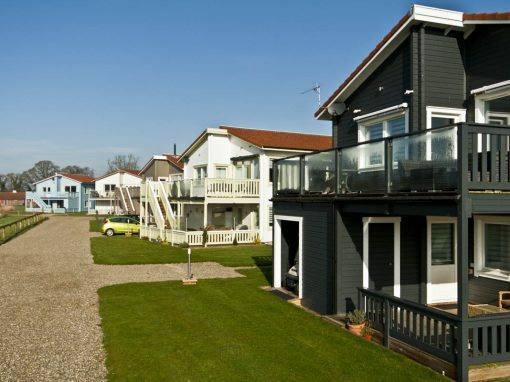 A unique development which is a hidden gem just minutes away from the delightful harbour and seaside resort of Tenby. 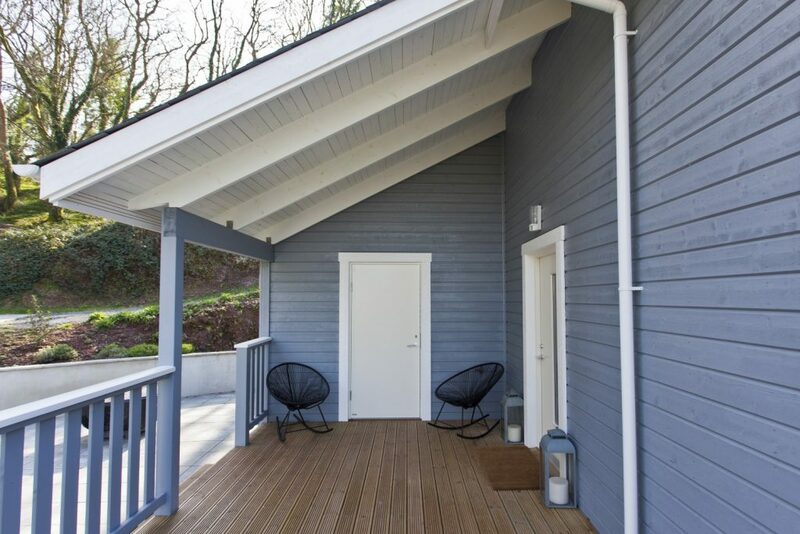 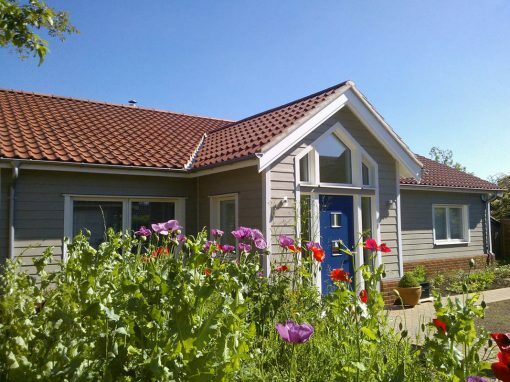 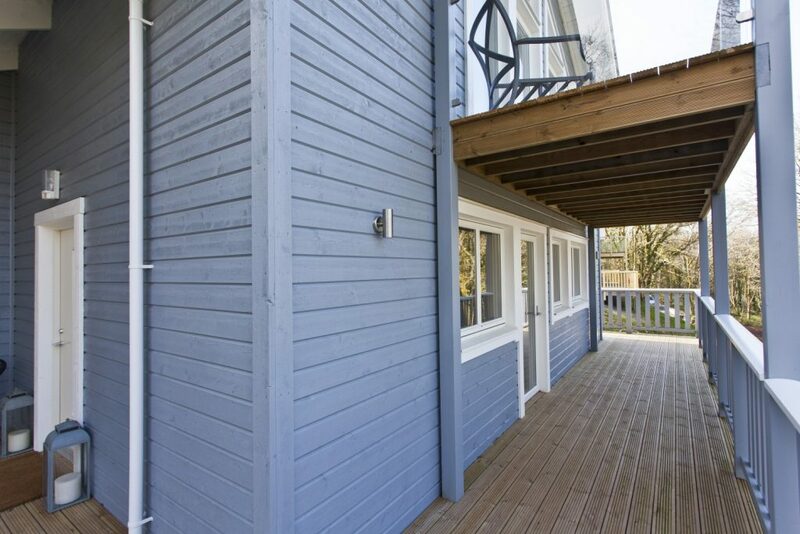 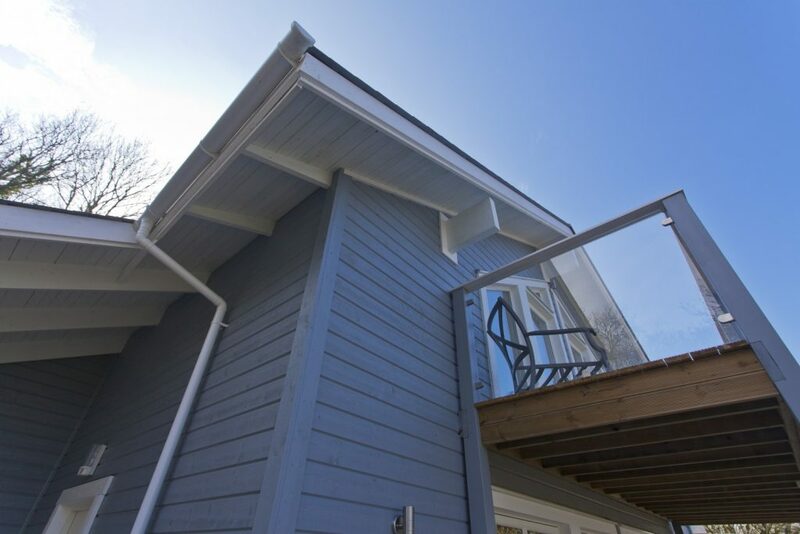 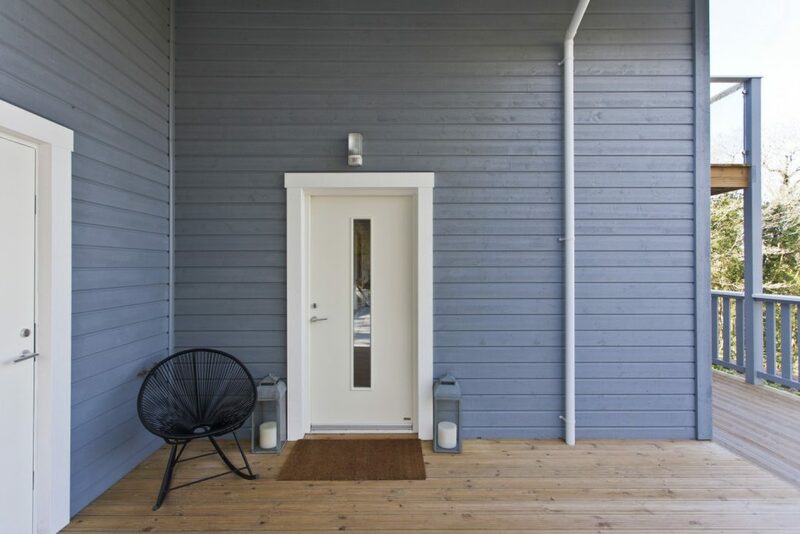 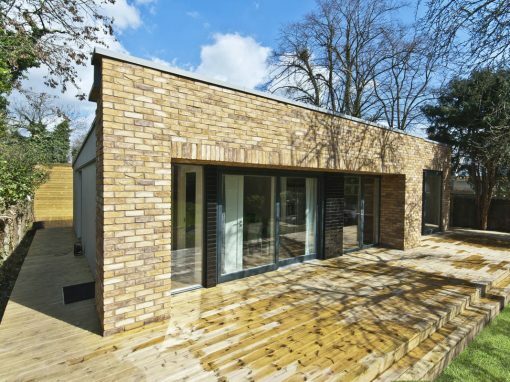 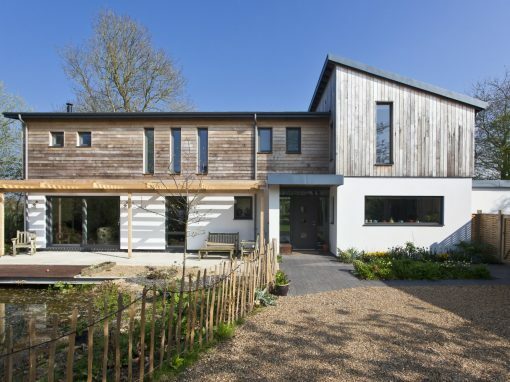 These luxury three bedroom properties are not shy of Swedish building technologies, offering an extremely air tight and energy efficient building envelope. 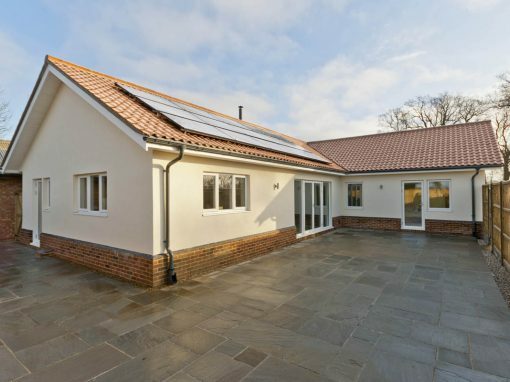 Offering total versatility for both the sunny summer and cold winter months, these properties are a delight to live in all year round. 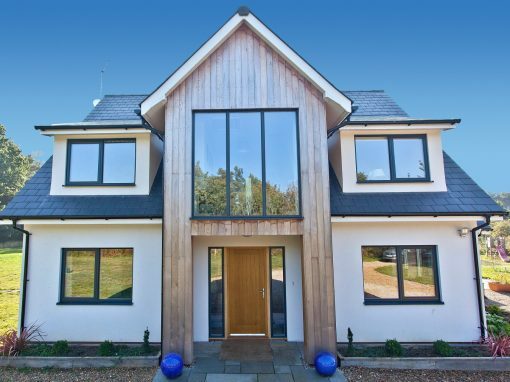 The triple glazed windows fitted as standard ensure complete peace and tranquillity, even on the windiest and wettest of days! 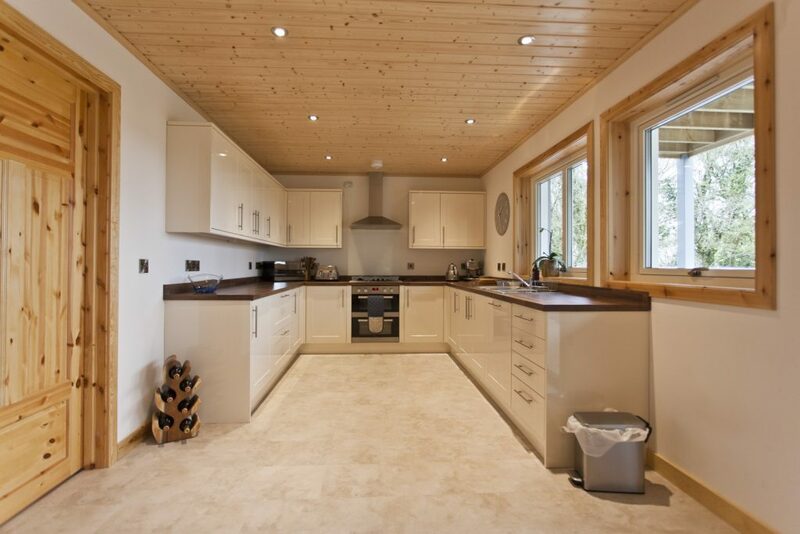 Utilising the unique reverse living experience with a fully vaulted ceiling on the first floor. 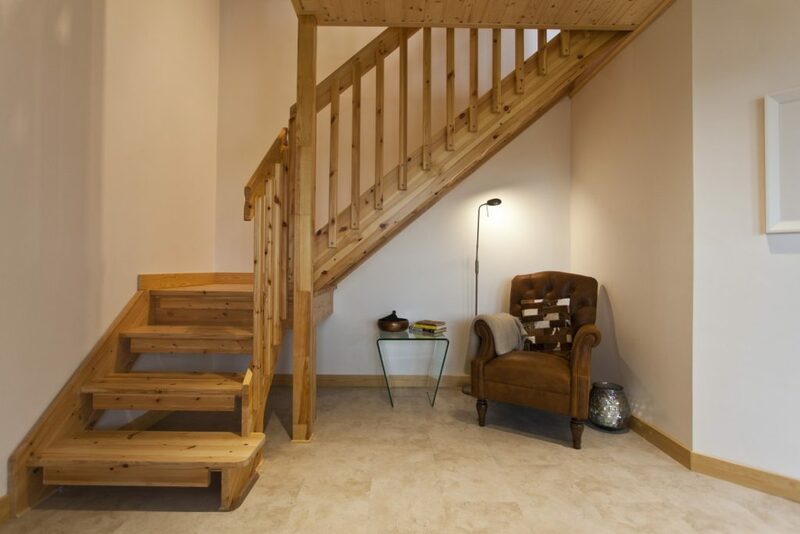 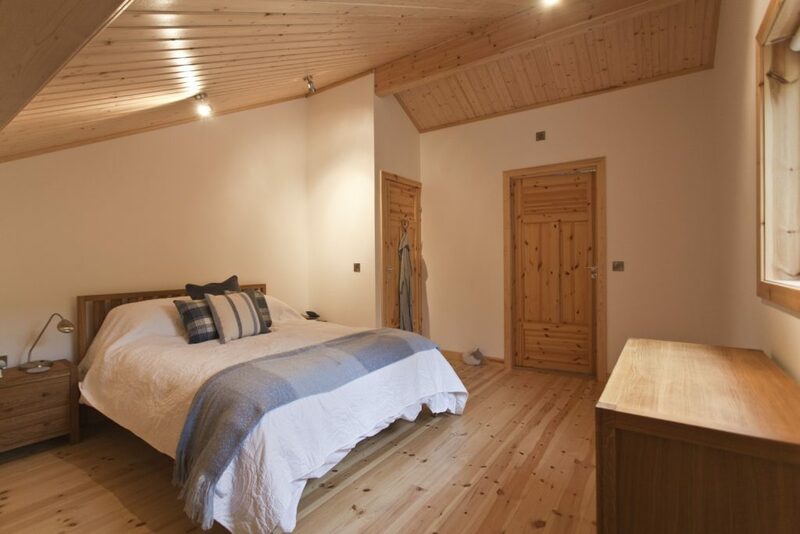 The upstairs offers a large en-suite master bedroom and sitting room with a glazed gable wall opening onto a balcony, which truly brings the outside in! 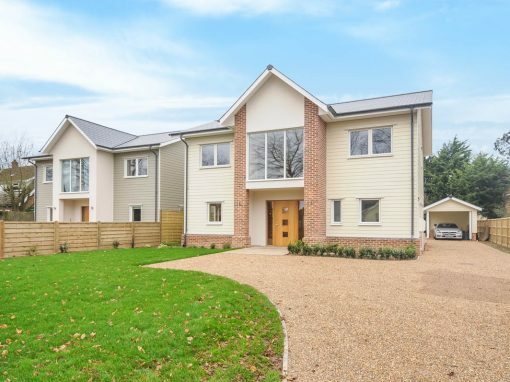 There are two further bedrooms on the ground floor with a large kitchen/dining area to complete a spacious family living environment. 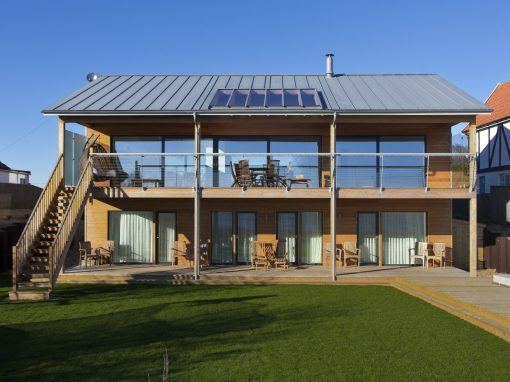 The design is complemented further with balconies wrapping around the front elevation of the properties maximising the views. 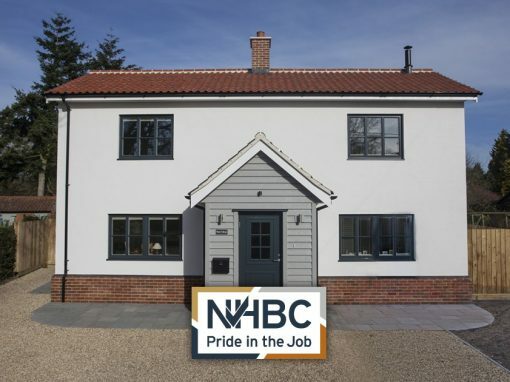 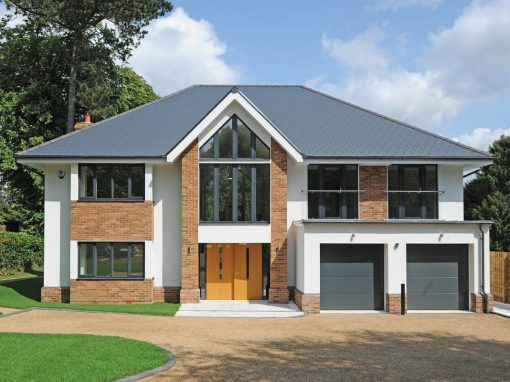 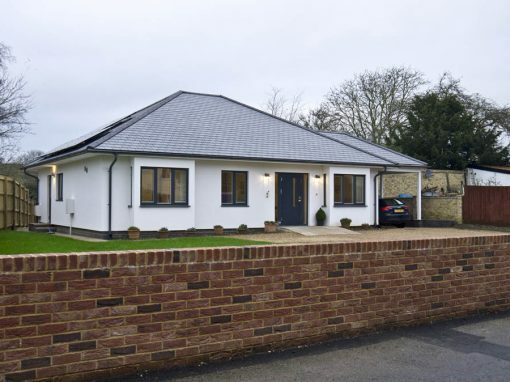 These Svenskhomes properties are built directly for the client as a Self-build development, offering a unique opportunity for individuals to fully customise their overall finishes and reflect their own style. 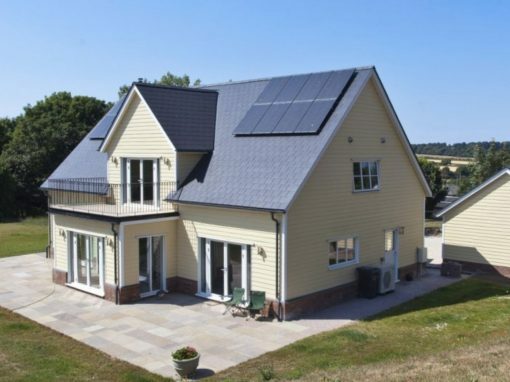 This is the perfect way to put your personal touch onto an extremely energy efficient building and create your perfect home for the future. 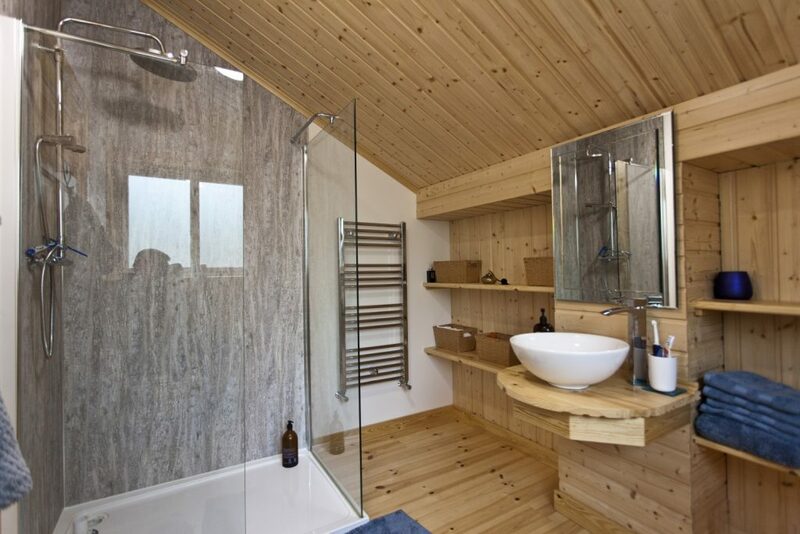 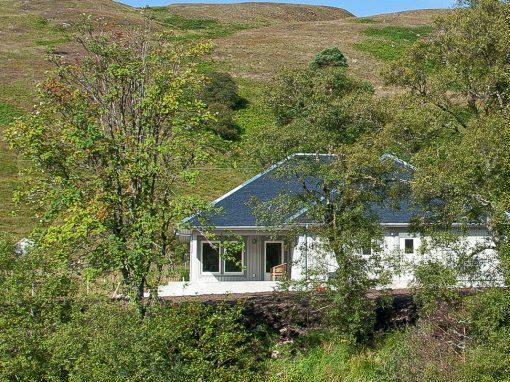 These properties enjoy extremely low utility bills, close to self-sufficient. 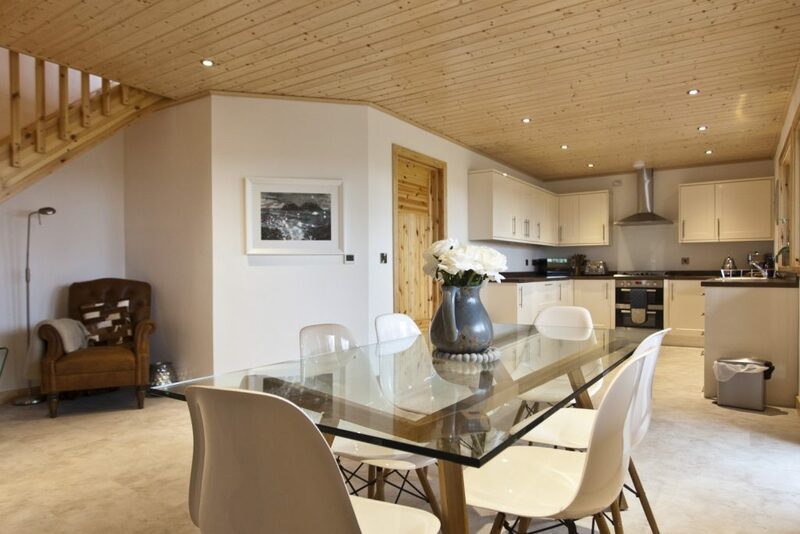 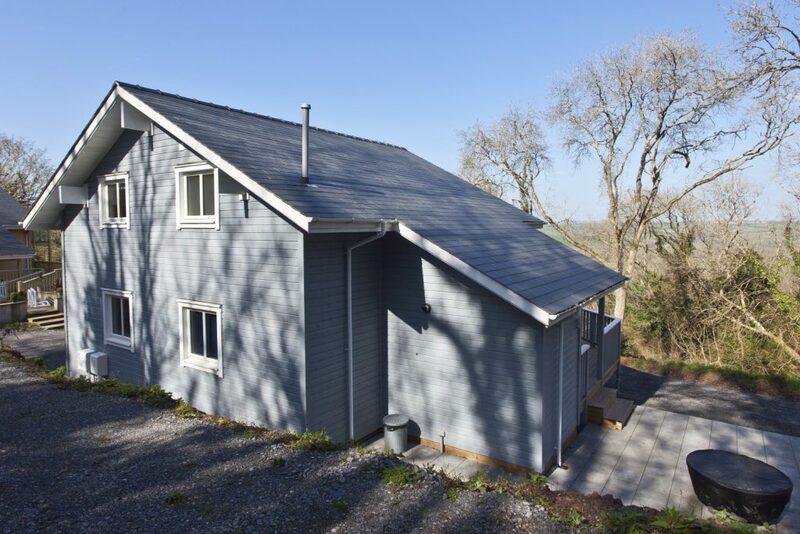 Perched directly on the hillside overlooking the Trefloyne Manor in Tenby, they are exposed to the extreme weather conditions off the North Atlantic Ocean / Celtic Sea, this is another perfect example of a highly energy efficient Svenskhome.